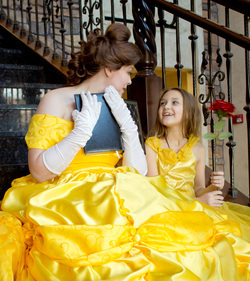 Have your daughters favorite princess come and wish your special someone sweet dreams. The princess will read a story before bedtime and sing a goodnight song along with coloring time. Before she leaves, she'll sprinkle "Sweet dream" powder in your child’s room. Your little girl will have a little surprise waiting for her the next morning! *Not avaiable for mascot characters, santa, easter bunny and certain superheroes.